On February 23, 2018, Turkmenistan announced the commencement of construction work on the Afghan section of an $8 billion natural gas pipeline that will link the energy-rich Central Asian nation to Pakistan and India. The work on the Turkmenistan section of the project has been completed. The 1,814-kilometer gas pipeline is expected to transport 33 billion cubic meters (bcm) of natural gas a year, will pass through Afghanistan to Pakistan and India. At least 816 kilometers of the pipeline will pass through the territory of Afghanistan through Herat, Farah, Nimroz, Helmand, and Kandahar provinces of Afghanistan. The final destination of the pipeline will be the Indian town of Fazilka, near its border with Pakistan. 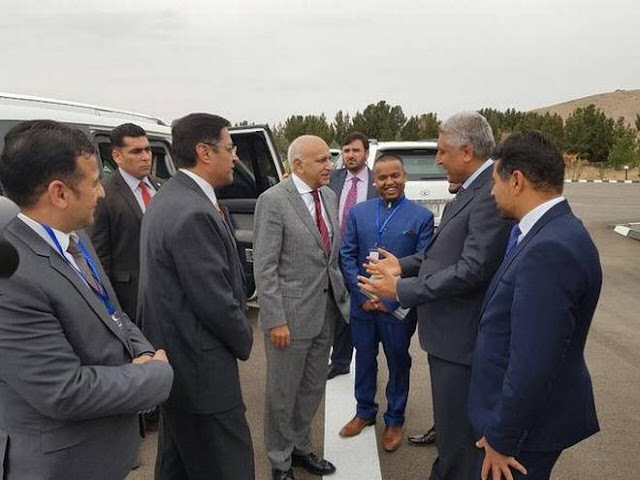 "Galkynysh, the world's second-biggest gas field, will feed the TAPI (Turkmenistan-Afghanistan-Pakistan-India) pipeline," Turkmen President Kurbanguly Berdymukhamedov told reporters gathered in a town near the Turkmen-Afghan border through a video link. TAPI, dubbed as the ‘New Silk Route’, aims at increasing regional harmony between Central and South Asia through energy trade. The pipeline project binds together countries that have delicate relations with contracts for over the next 30 years. 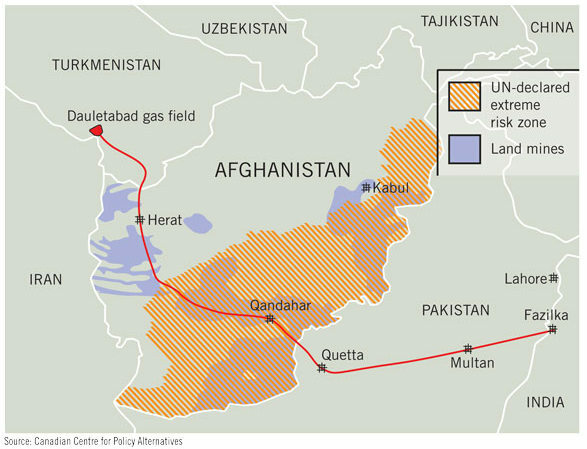 Given the importance of the pipeline and the gas it brings to the energy deficient nations of Afghanistan, Pakistan, and India, they will have to maintain the security cover to save it from the alleged state and non-state actors, thereby being a beacon of hope for some peace in the region. The project, supported by the United States and the Asian Development Bank, has been touted by Turkmenistan since the 1990s. After all, TAPI’s 1995 origins lie in Washington, through a US firm Unocal, providing Central Asian and South Asian nations an alternative to the Russian routes. But the start of work was delayed because of the problem of crossing Afghanistan. In the year 2015, the participating countries decided to bring in their national oil companies (NOCs) (GAIL, India; Interstate Gas System, Pakistan; Afghan Gas Enterprise, Afghanistan; and TurkmenGaz, Turkmenistan), to form a joint venture named TAPI Pipeline Company Limited. In the 22nd steering committee meeting of TAPI held at Ashgabat from 6–8 August 2015, it was announced that with a 51% shareholding, TurkmenGaz would be the consortium leader and the other NOCs would hold equal shares of the remaining 49%. In March 2016, William Byrd, senior Afghanistan expert at the U.S. Institute of Peace and former country director for Afghanistan at the World Bank suggested - "for TAPI to be built, some sort of arrangement with the Taliban, as well as the Afghan government, would be necessary". With the issuance of a statement by the Taliban on Friday, pledging its cooperation with TAPI, which it said would be an important element in building up Afghanistan’s economic infrastructure, does suggest some sort of agreement has been reached between Afghanistan Government and Taliban. “There will be no delay in this important national project,” it said in a statement, which blamed the government in Kabul for delays in starting construction. The foundation stone of the Afghan portion of the TAPI gas pipeline project — will be laid today in a ceremony in the western Afghan city of Herat together with Berdymukhamedov, Afghan President Ashraf Ghani, Pakistani Prime Minister Shahid Khaqan Abbasi, and India's Minister of State for External Affairs M.J. Akbar.